There’s nothing we love more than an organized space! I have been on the hunt for great garage ideas. 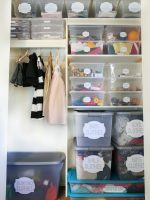 I am wanting to take my garage organization to a whole new level. 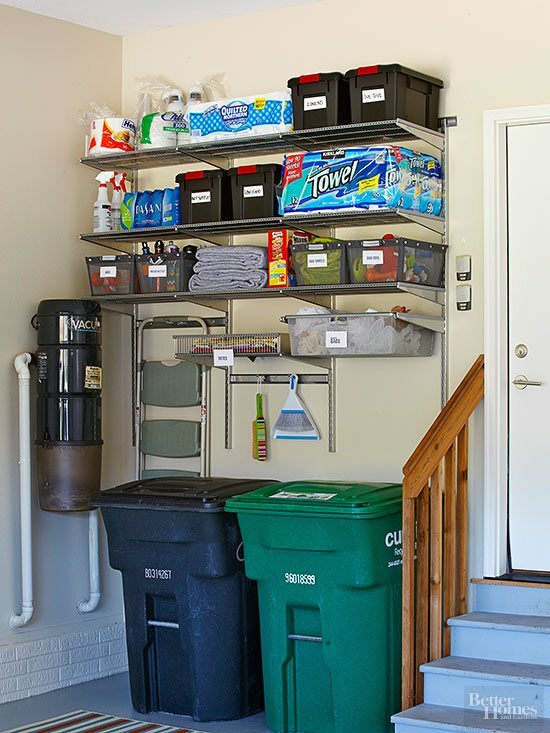 These garage organization ideas will help you keep your space clean and organized and ready for your next project! 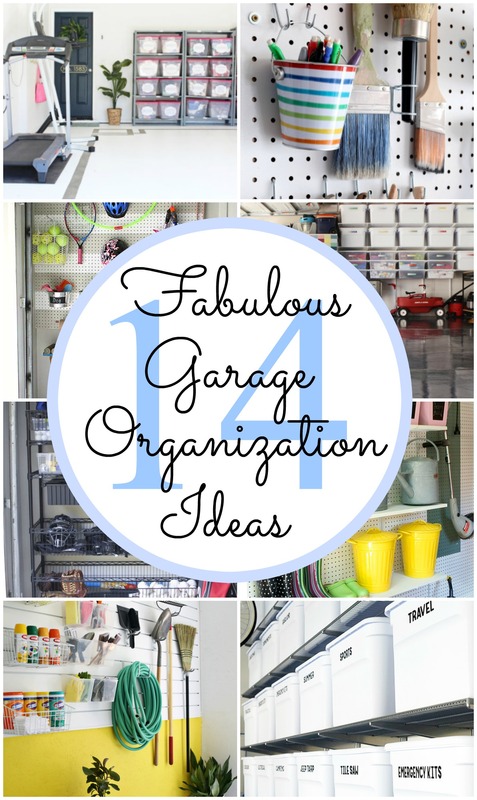 Here are some of our favorite garage organization ideas! 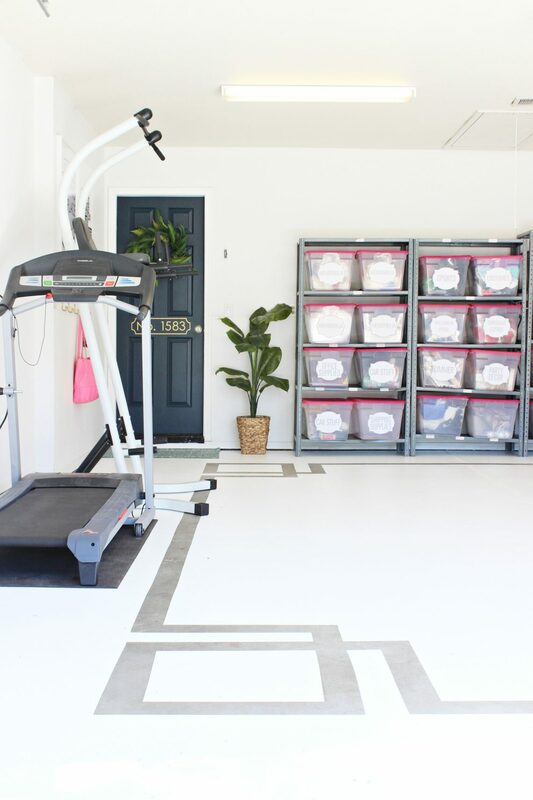 Before I share a few of my favorite different organized garage ideas here a few of my tips that I have found that are really helpful when getting your garage organized. Here are some of my favorite different garage ideas that I wanted to share with you. Just because it’s a garage does not mean that it can’t be pretty. 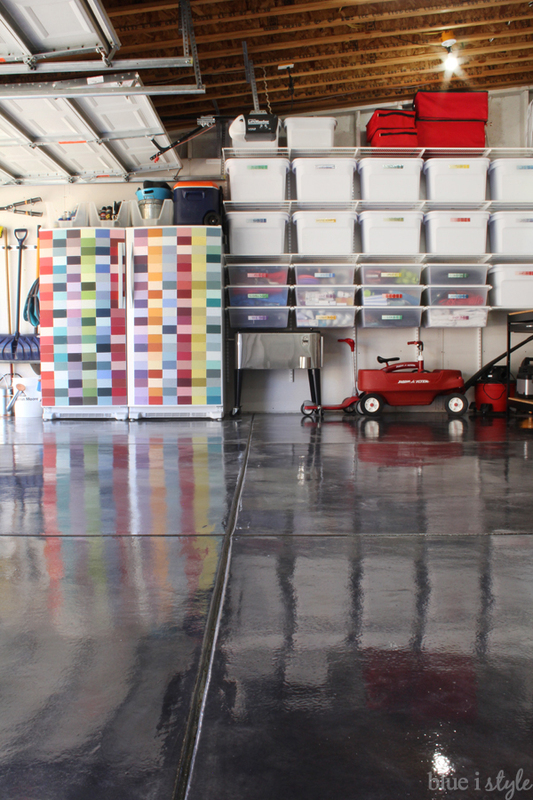 Have you ever thought about doing a garage painted concrete floor? 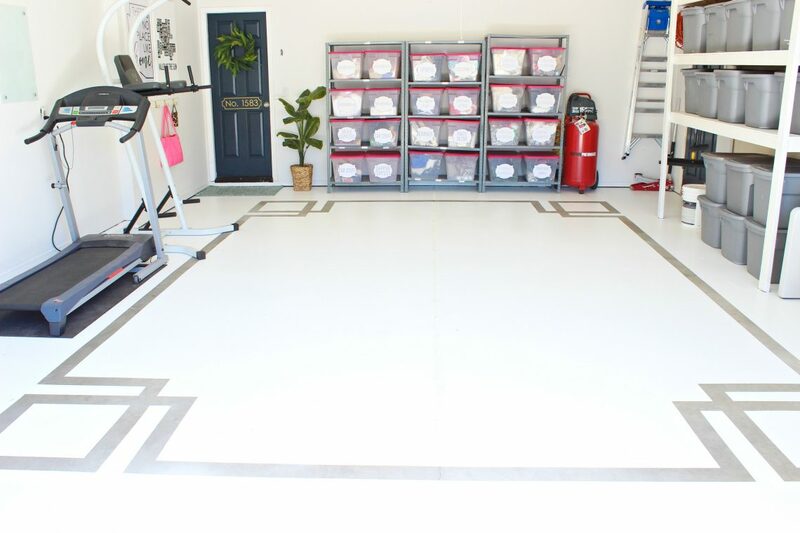 Painting concrete floors is such a fun and easy way to jazz up any garage floor. This is really cool Glossy Black Pretty Organized Garage. I love the glossy, clean floor and those bright colored labels! 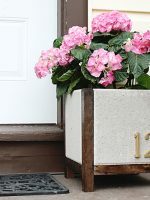 You can find a full tutorial on how to do a patterned Painted Concrete Floors HERE. The pattern on this Painted concrete floor is just so fun and adds such a fun pop in this garage. Pro TIP: Use the space on your walls in your garage. There are many different things that you can use the space on your walls better. 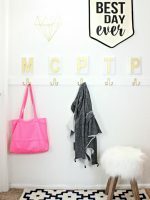 You can do a pegboard system add shelves for bins and other items. By using the wall space in your garage you are freeing up so much space in the garage. You can even use mounted pegboard system for all your different tools like rakes, hoses, even other items. 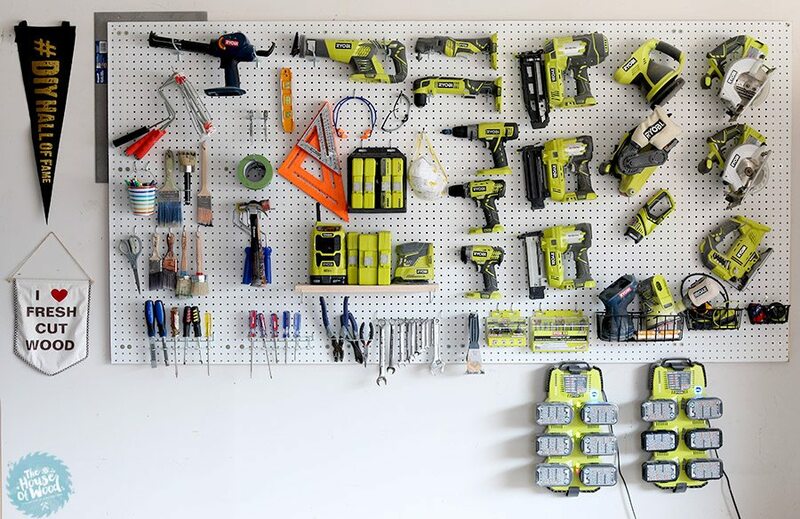 Here are a few different examples of how a pegboard system can be used for garage organization. 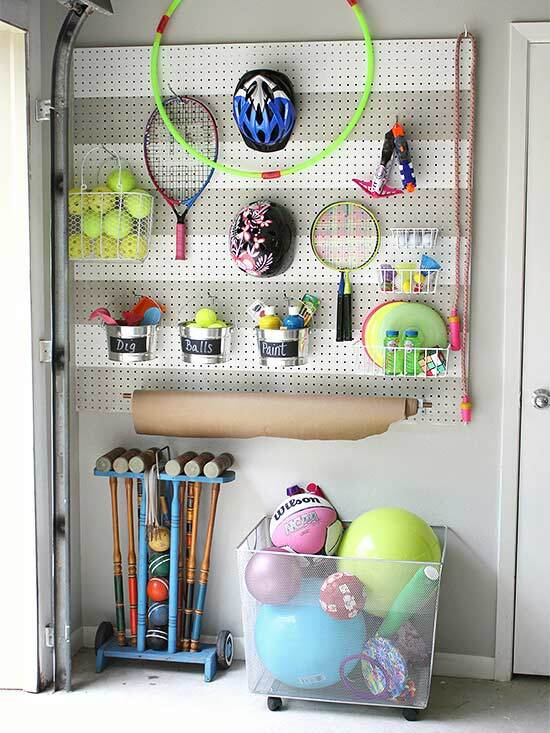 Use shelving in your garage is also a great way to keep everything where it needs to go. 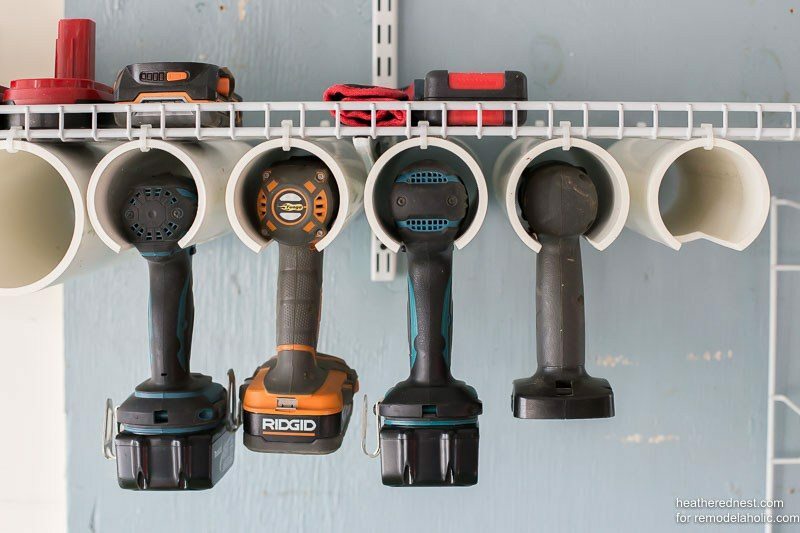 These different garage organization ideas are just all so awesome. Don’t over look the fact that you can have a very functioning and a very pretty garage. wonder garage! one could live in it. i don’t know of any garage that has such a fancy floor! Definitely some nice ideas here. Doing the floor is kinda my next big thing… amazing how it can change the space. Right?!? It makes a big difference! How do you keep things from freezing in the winter? The batteries on tools run down fast when it is cold ! My garage is just as cold as it is outside. Was just wondering how people dealt with that. My husband stores our batteries in our basement in the winter.